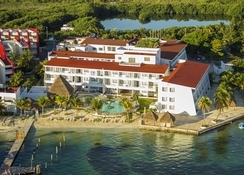 Cancun Bay Resort is without a doubt a great lodging option for those who want to spend a splendid all-inclusive beach vacation in Cancun on a budget. 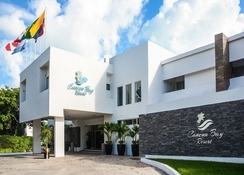 This hotel, located in the Hotel Zone, is characterised by having a completely family atmosphere, where you will enjoy the sun, the sea and the tranquillity of this tourist destination. The property offers facilities that include swimming pool, restaurant & bar, large gardens, a convenience store, as well as parking and Wi-Fi internet access. It has spacious rooms with different categories to accommodate guests traveling alone, with friends or family. 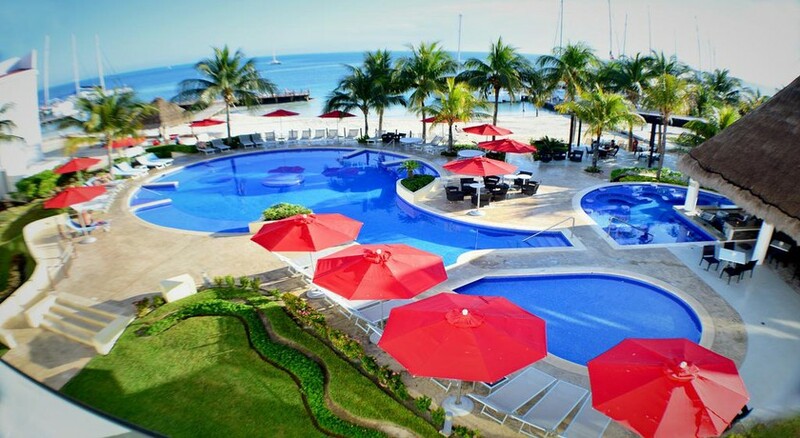 Lounge by the pool or take part in a number of sports and activities to have a memorable vacation. 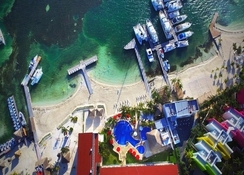 Cancun Bay Resort all-inclusive is located in the Hotel Zone of Cancun. The resort is located only five minutes from the city centre and at a distance of about 12km from Kukulcán plaza, 6km from Plaza Caracol and 9km from Coco Bongo. A 10-minute drive from the hotel will get you to the Black Coral Market. 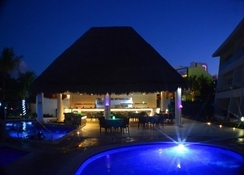 The hotel is a 25-minute drive from the Cancun International Airport – about 22km. Rooms at the Cancun Bay Resort are known for their chic décor, comfortable furniture and spacious interiors. Room amenities include air conditioning, cable TV, safe deposit box, bathroom with shower, balcony or terrace overlooking pools or the ocean. Guests can choose between Standard rooms with a king size bed or two double beds or a Master Suite room with a king size bed and private bathroom, and an additional room with two double beds and a bathroom shared with the main room. The El Faisan Restaurant offers Breakfast buffet from 6:30am - 10:30 am, lunch from 12 noon – 4pm and dinner from 6pm - 10pm. The Sushi Bar Restaurant serves Sushi and beverages and is open from Tuesday to Sunday from 12 noon – 6pm. The Trattoria Restaurant serves Italian cuisine and reservations are required for this restaurant. Bars at the hotel are Lobby Bar and Pina colada Bar. 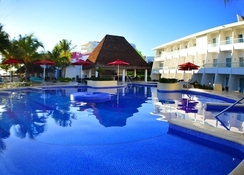 The hotel is right on the beachfront and gives guest an all-day access to the turquoise waters of the Caribbean. The hotel features two outdoor pools with a Jacuzzi. The hotel also offers a host of sport and leisure activities like volleyball, pool tables ping pong and more. Night shows are also organized by the beach.